In Magento, there are six product types which all have slightly different functions of their own. You are recommended to consider them all before choosing the Magento product type for your items which is essential. 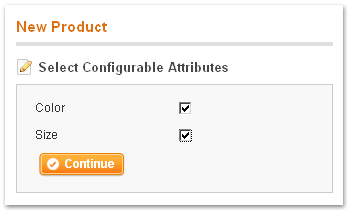 One of the most common types that we usually see in Magento is Configurable Product. A Magento Configurable Product is quite similar to the simple product but with different custom options. You can understand that a Magento Configurable Product is a set containing multiple simple products, which allows the customers to select many variants of the product from drop-down lists. Each option is a separate simple product. To understand it more clearly, we should take a look at some of the examples. For instance, your store is selling a type of shirt with different sizes and different colors. That kind of shirt has 2 colors (black and white) and 3 sizes (small, medium and large). You will have to create six different simple products such as black – small, black – medium, black – large, white – small… and link all of them into a configurable product. 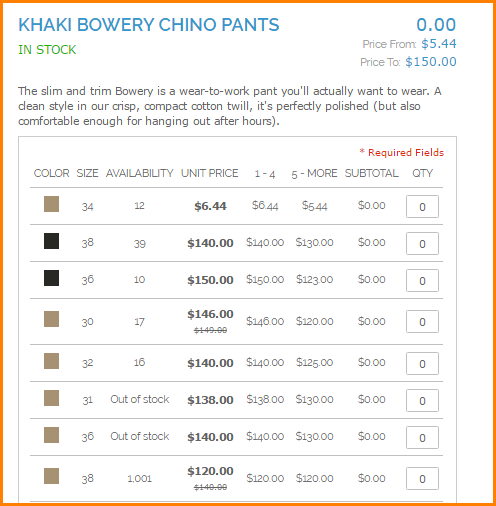 After that, the customers now can choose their desired size and color and add to cart. Each selectable variation has its own SKU and additional necessary costs. It has six steps in total in the process of creating a Configurable Product including creating attributes, creating attribute sets, creating the configurable product, adding associated products, making necessary price adjustments and configuring the shopping cart thumbnails. First things you have to do is to create an attribute for each drop-down list of options that you want to include in the configurable product. To do that, go to Catalog > Attributes > Manage Attributes then click “Add new attribute” button. We will take the example above for this part. 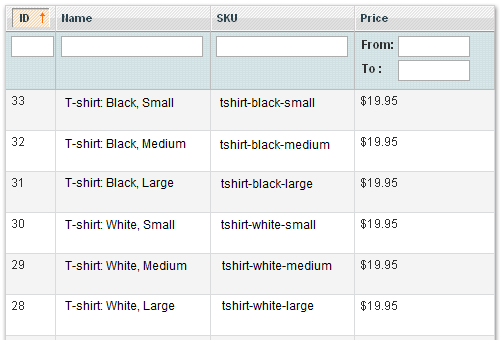 For instance, you want to create an attribute for the shirt’s size. Here are some required properties of the attribute. After that, we have to assign values to the attributes in the Manage Options. Shirt’s size attribute includes the values of small, medium, large and Shirt’s Color attribute includes the values of black and white. The figure below will show you more clearly. The “Position” option will decide the order of the values displayed on the screen. 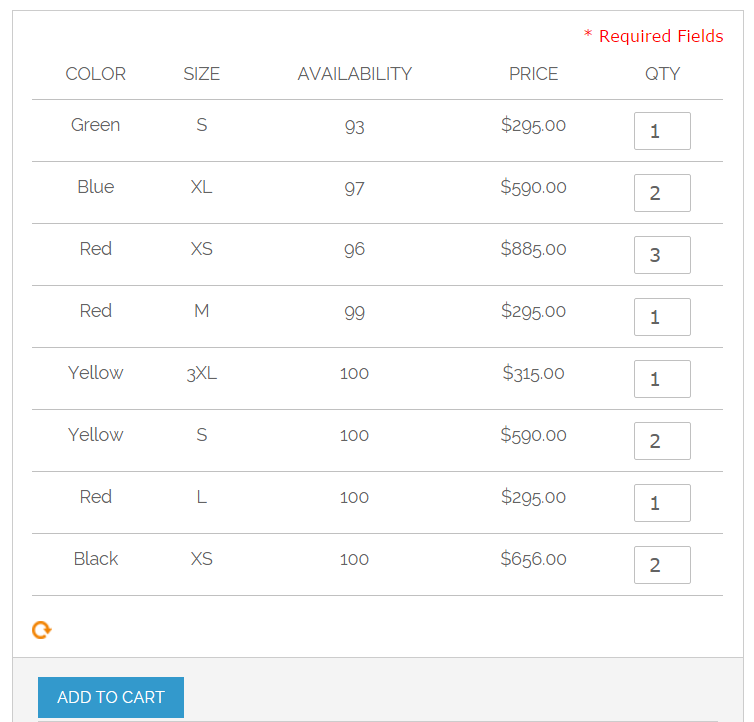 Assigning the value for Shirt’s Color attribute is the same as Shirt’s size. After creating attributes for drop-down lists, we have to generate attribute sets. On the admin menu, select Catalog > Attributes > Manage attribute set, then click “Add new set” button. Now, from the list of “Unassigned attribute” on the right, drag and drop each attribute you want to include in the product to the center column called “Groups,” you’re allowed to arrange them in any order. In the Product Information Panel, if you want to group the attributes in their section, the first thing you have to do is clicking the “Add new” button in the Groups section, then entering a name for the new group. The new group appears at the bottom of the Groups column. 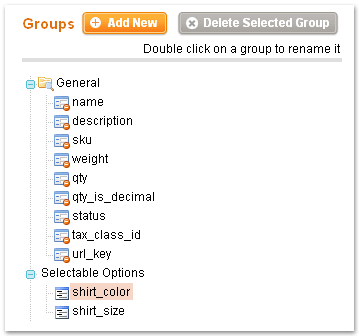 You can rename the group’s name by double clicking on a group. On this above video, we create the configurable product at first, then add associated items to it. This step is one of the most important ones in the process of creating a configurable product. However, as mentioned at the beginning of this topic, for us to create a configurable product, only as known as separate simple products, we have to develop multiple simple products first. To do that, on the admin menu, select Catalog > Manage Products, then click “Add product” button. It will appear like the figure below. 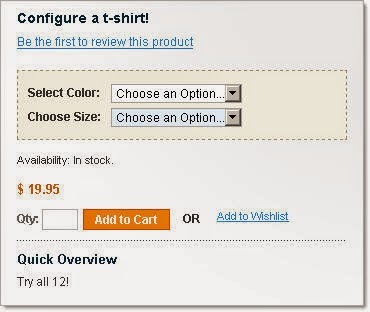 After selecting all the necessary information for that simple product, click “Continue” button to choose the data for the color and size properties. Repeat the above steps to create more simple products until reaching the required quantity. You have two colors (black and white) and 3 sizes (small, medium, large), you will have to create six simple products in total, for instance. 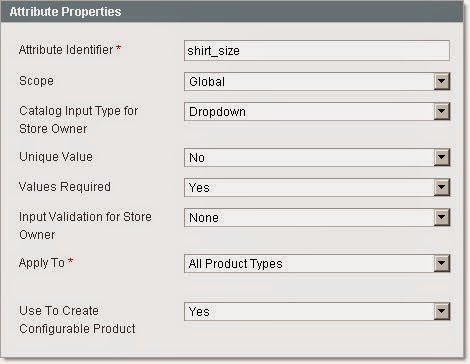 The following step is to select the checkbox of each attribute that you want to include in the product in the “Select Configurable Attributes” section. Then, click the “Continue” button. The method that I have mentioned is a straightforward one. Subsequently, you will have the result as below. You can make some necessary adjustments for the product regarding size and price as well. Configurable products of Magento default supports customers with many useful features, however, there is a shortcoming which is that you can only add an option once for each time. Not able to add many options at once may lead to the irritation of the customers since they must repeat the process in order to add all the options of a product by going back and forth the pages. The solution to this problem has been resolved by BSSCommerce. We improve that by adding more functions for the configurable products in Magento. With our Pro Configurable Product Grid Table View Extension, all the associated products are displayed in a neat grid table instead of a drop-down list of options. The customers no longer have to go back and forth many times to add all the options, now they can choose the quantity of all the associated products displayed in a table and add to cart at once. Moreover, Pro Configurable Product Grid Table View Extension supports to display stock status, unit price, unit price and tier price of each associated product. The subtotal and total price are also automatically calculated so that customers can check how much their order is charged immediately. This extension helps you satisfy your customers by reducing steps in the purchasing process and enhance customers’ buying experience. As a result, it helps increase the sales of your shop. In conclusion, Magento supports six types of products in the total and configurable product is probably one of the most typical types among all. It is principally fundamental for you, the administrators, to carefully consider the types for the products before choosing it and publishing on the product page. However, there is still a disadvantage which can be improved by using our Magento Pro Configurable Product Grid Table View Extension.